Both augmented reality and virtual reality are earning a lot of attention of late and have some intriguing implementations in the world of exhibition design. Itâ€™s undeniably the case that these technologies are officially here â€“ and that they are incredibly exciting. So, letâ€™s start at the beginning: what is the difference between augmented reality vs. virtual reality? The easiest distinction to make between augmented reality and virtual reality is that virtual reality immerses you entirely into a virtual world, whereas augmented reality overlays virtual elements onto a â€˜real worldâ€™ experience. Magic Leap is yet to reveal it uses of 'Dynamic Digitized Lightfield Signal' - a system that projects the images directly onto the wearer's retina, fooling the brain into thinking the objects they are looking at are really there. Augmented reality (AR) is a live view of a real-world environment whose elements are "augmented" by computer-generated enhancements in order to make it more meaningful. With the help of advanced AR technology, information about the userâ€™s real world becomes interactive and digitally manipulable. These techniques are typically performed in real time and in semantic context with elements of the userâ€™s environment. By using this technology, we can complement physical aspects of our environment with additional information such as the graphics, video, sound, GPS data, etc. This information can be sensed or measured information such as electromagnetic radio waves overlaid in exact alignment with where they actually are in space or the rhythm of a beating heart. Augmented reality is usually uses either glasses (Google Glass) or a pass-through camera (as with PokÃ©mon Go) so that the user can see the real world around them. Digital elements will then either be projected onto the glass, or will be shown on the screen on top of the cameraâ€™s visual input. It is now commonly developed into mobile device apps and is quickly coming into the mainstream. Augmented reality enhances oneâ€™s current perception of reality, whereas in contrast, virtual reality replaces the real world with a simulated one. So virtual reality (VR) is an artificial simulation or recreation of a real-life environment or situation. It immerses the user by making them feel like they are experiencing the simulated reality first-hand. VR is typically achieved by wearing a headset like HTCâ€™s Vive (Thincâ€™s VR headset of choice). The headset will typically use one or two screens that are positioned close to the face and viewed through lenses. It then uses various sensors to track the userâ€™s head and potentially their body as they move through space. Using this information, it renders the appropriate images to create the illusion that the user is navigating a completely virtual environment. Not surprisingly, the video games industry is one of the largest proponents of virtual reality. Scientific and engineering data visualization has benefited for years from virtual reality, although recent innovation in display technology has generated interest for everything from molecular visualization to architecture to weather models. Whether itâ€™s allowing pilots to use virtual cockpits or allowing surgeons to train with virtual tools and patients in a virtual operating room, VR has a potential beyond gaming, to help people learn from, reconcile and understand real world experiences. So AR and VR are not really competing technologies, but rather complimentary ones. They are inverse reflections of each other in regard to what each seeks to accomplish and deliver for the user. Virtual reality offers a digital recreation of a real life setting, while augmented reality delivers virtual elements as an overlay to the real world. Both these technologies bring something similar, though slightly different, to the table, are equally significant in their own ways and will have a big role in our future. So thatâ€™s augmented reality vs virtual realityâ€¦ but what about mixed reality? The distinction of mixed reality can be a bit tricky. MR is like AR in that it combines a live feed of the userâ€™s environment with additional digital information but the differences between the two technologies is not distinctly defined. Generally, the term â€˜mixed realityâ€™ is more commonly used to describe scenarios in which the augmented elements are more closely integrated with the â€˜real-worldâ€™ environment. For instance, a wall in your office displays a Skype conversation, or surgeons overlaying virtual ultrasound images on their patient while performing an operation. The key characteristic of MR is that the â€œaugmentedâ€ content and the â€œreal-worldâ€ content can react to each other in real time. Examples of MR-centric hardware include the Microsoft HoloLens or the super-secretive, heavily-funded mixed reality Magic Leap headset. Mixed reality also tends to be more immersive than augmented reality and require a little more processing power than your cellphone can provide. So perhaps these differences are more of a â€˜spectrumâ€™ of reality. On that spectrum, you have plain old vanilla â€˜realâ€™ reality at one end and virtual reality at the other. AR is closer to the vanilla end, while MR is a little closer to the virtual end. A whole range of different experiences are now possible with these emerging technologies. As is so often the case, new technologies are emerging so fast that we havenâ€™t been able to keep up in creating the vocabulary to define them, so things can get a bit foggy. 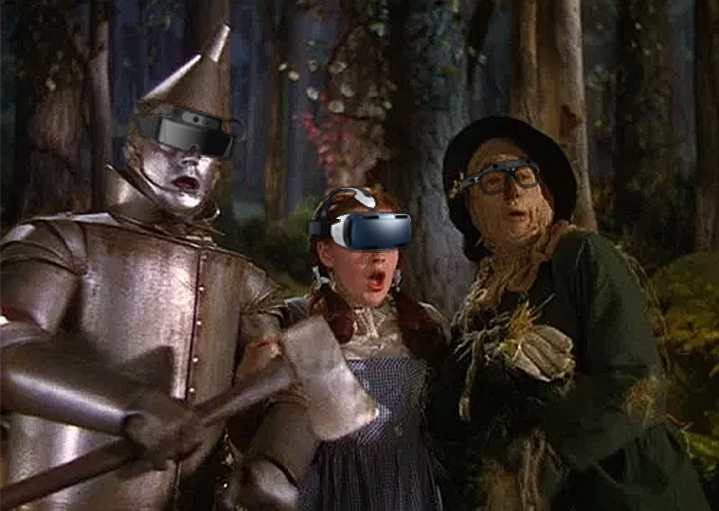 But whatever you call it: AR, VR, or MR â€¦ itâ€™s all incredibly exciting.